UNITED KINGDOM: Russia yesterday (Mar 13) warned Britain to expect reprisals if it announces sanctions over the poisoning of a former double agent, as the US and other allies joined London in demanding answers on how a Soviet-designed nerve agent was used in the attack. British Prime Minister Theresa May says Russia was “highly likely” to be behind the attack, giving Moscow until midnight Tuesday (7am today Thai time) to provide answers on the Mar 4 poisoning of former Russian spy Sergei Skripal and his daughter Yulia. In Moscow, Foreign Minister Sergei Lavrov insisted “Russia is not guilty”, saying it was ready to cooperate with Britain but complaining that its request for samples of the nerve agent had been rejected. The Russian embassy said it had formally demanded the government allow a joint investigation, saying “without that, there can be no sense in any statements from London”. In the first sign of the practical implications of the growing diplomatic crisis, Russia threatened to bar all British media if British authorities banned the Kremlin-backed RT broadcaster. British regulator Ofcom has warned it could review RT’s licence if Russia were found to have been responsible for the attack on Skripal, who came to Britain in a 2010 spy swap. The United States, NATO and the European Union have all backed Britain in its stand-off with Moscow, following what is believed to be the first nerve agent attack in Europe since World War II. In a phone call with May yesterday, US President Donald Trump said Russia must “provide unambiguous answers”. The two leaders “agreed on the need for consequences for those who use these heinous weapons in flagrant violation of international norms”, the White House said. May on Monday (Mar 12) gave Moscow an ultimatum to explain whether Skripal’s attempted murder was a state-sponsored attack, or whether it had “lost control” of the nerve agent. She demanded Moscow disclose details of the development of the Novichok nerve agents program to the Organisation for the Prohibition of Chemical Weapons (OPCW). But addressing OPCW, Russian ambassador Alexander Shulgin accused British officials of launching “vicious attacks” against Moscow and “fomenting hysteria”. Pharmacology experts said Novichok, a broad category of more than 100 nerve agents developed by the Soviet Union during the late stages of the Cold War, was “more dangerous and sophisticated” than sarin or VX. May will gather her National Security Council this morning (Mar 14) “to discuss the response from Russia”, and will then give a statement to MPs, her spokesman said. Foreign Secretary Boris Johnson attempted to rally support yesterday by calling his counterparts and vowing that if Russian was responsible, “this would be further reckless behaviour which threatens the international community and requires an international response”, according to a Foreign Office statement. Canadian ambassador Timothy Edwards told the Organisation for the Prohibition of Chemical Weapons (OPCW) the two scenarios outlined by May were “deeply troubling”. European Commission Vice President Frans Timmermans said the EU was united in “unwavering” solidarity, while German Chancellor Angela Merkel said she was taking the British accusation “extremely seriously”. French President Emmanuel Macron said for his part the attack was “unacceptable” and “reaffirmed France’s commitment to fighting impunity when it comes to chemical weapons use,” his office said. NATO Secretary General Jens Stoltenberg said the incident was “of great concern” amid reports that Britain was consulting NATO allies about possibly invoking its Article 5 principle of common defence. Skripal, 66, and his daughter Yulia, 33, remain in critical condition in hospital after being found unconscious on a bench outside a shopping centre in the southwestern city of Salisbury on March 4. May said Moscow had previously produced a group of nerve agents known as Novichok, had a history of state-sponsored assassinations and viewed defectors such as Skripal as legitimate targets. Vil Mirzayanov, a chemist who worked on the Novichok program and now lives in the United States, said the nerve agent’s effects were “brutal”. “These people are gone – the man and his daughter. Even if they survive they will not recover,” the 83-year-old told The Telegraph newspaper. A policeman was also taken ill, and police revealed yesterday that 35 people were assessed at the time, all but one of whom were swiftly released. That person is being monitored as an outpatient. 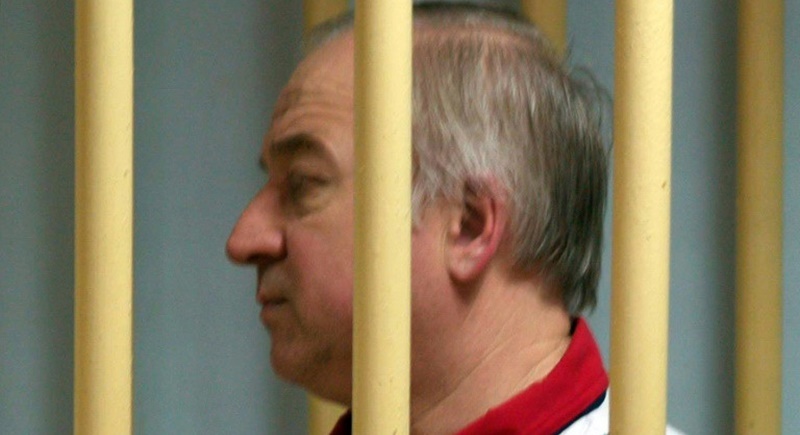 The case has prompted comparisons with the 2006 radiation poisoning of former spy and Kremlin critic Alexander Litvinenko, which a British public inquiry blamed on Russia. In a further twist, former senior Russian executive Nikolai Glushkov, linked to late Kremlin opponent Boris Berezovsky, was found dead in London in unexplained circumstances, British and Russian media reported.